Thank you very much for your interest in the Oak Crest Institute of Science. Why not consider personally becoming a member of the Oak Crest team and helping us tackle the world’s environmental and medical challenges? 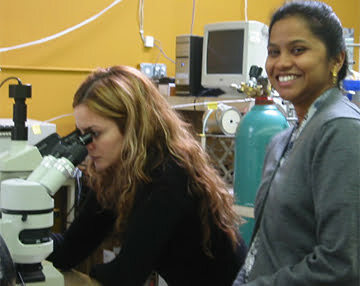 Your financial generosity helps us to maintain the highest standards of research and education, and directly provides advanced research equipment, supplies, salaries, scholarships, and stipends to our teams of faculty and students so that they can continue working to solve the environmental and medical challenges affecting our global community. The Oak Crest Institute of Science is a 501(c)(3) organization, and most donations are fully tax deductible. There are many ways to support Oak Crest. For more information, please contact [email protected] or call 626-817-0883. Thank you for your gen­er­os­ity. The Institute has a proven track record in conducting both applied and fundamental research in the environmental and medical sciences. Research at Oak Crest has a solid emphasis on meeting society’s practical and immediate needs. The Institute invests a significant amount of time and resources in training and encouraging the world’s future scientists, not only at the undergraduate and post-graduate levels, but also at the high school and community college levels. 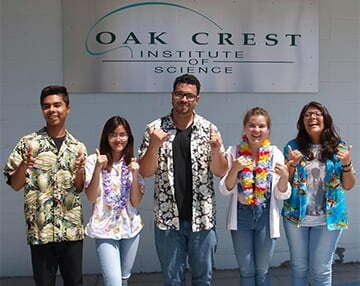 Students who might not otherwise have the opportunity to conduct research are presented with life-changing opportunities at Oak Crest. Thanks to our small size, financial support is used for research and mentoring activities with few associated administrative costs. Faculty members focus whole-heartedly on conducting research and on individualized mentoring activities, thanks to minimized classroom teaching and administrative responsibilities. The Institute successfully encourages collaboration and interdisciplinary scientific research between academia, government, and industry. Our team members work together for effective solutions to challenges ranging from water and air pollution to HIV transmission and schizophrenia. The Institute is a small, unbureaucratic organization that combines the efficiency and responsiveness of industry with the intellectual stimulation of academia. The Institute stands as a unique, award-winning pioneer in its field and serves as a model for other institutions of research and learning. Oak Crest is a young, growing, dynamic organization with a highly personal touch. Your donation can have a significantly larger impact on a single researcher’s or student’s work at Oak Crest than at a larger institution. 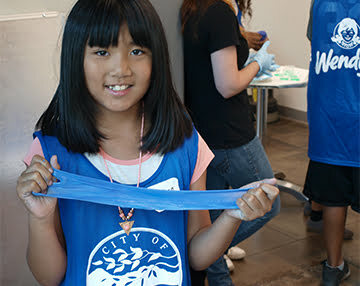 As one of our philanthropic partners, you will be playing a crucial role in helping Oak Crest to fulfill its mission of benefiting humanity by conducting cutting edge scientific research and by fostering tomorrow’s scientists, one student at a time.